As many as 100 people in Texas are now being tested for Ebola exposure. What are L.A. health officials doing to prepare for the unlikely possibility that an Ebola patient shows up here? Also, a promising Ebola treatment, ZMapp, is made by a tiny company in San Diego. We look at the drug, and what we know about its effectiveness and its makers. Next up, L.A. has two baseball teams headed to the playoffs; could they end up competing against each other in the World Series? Then, the new documentary Harmontown follows T.V. writer Dan Harmon on a comedy podcast tour. We talk to Harmon and the filmmaker about the movie. 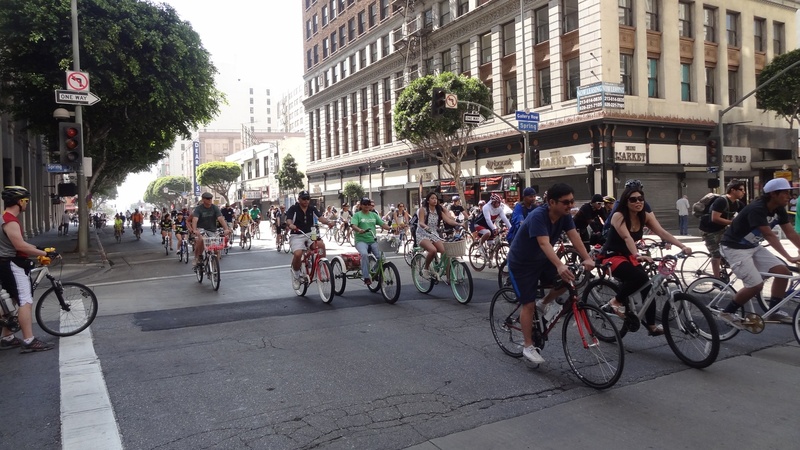 Finally, the 10th CicLAvia biking event takes over the streets of L.A. this Sunday. But some East L.A. residents worry that the bicyclists are harbingers of gentrification.